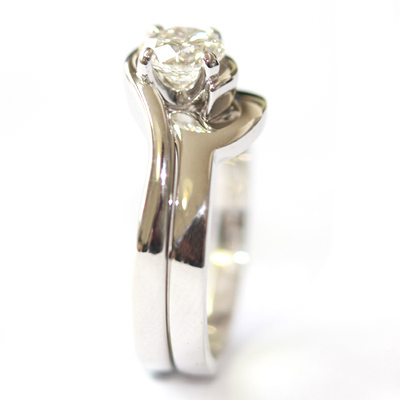 18ct White Gold Plain Fitted Wedding Ring to Twist Solitaire Engagement Ring — Form Bespoke Jewellers Ltd.
A beautiful plain fitted wedding ring handmade to fit a twist solitaire engagement ring. 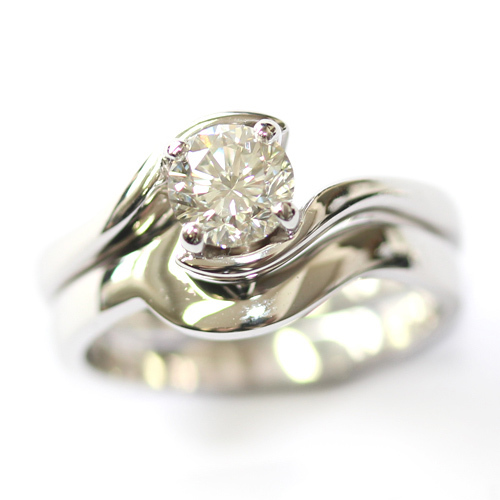 The customer came to us for a wedding ring that would fit perfectly alongside their twisting engagement ring. The unusual profile of their engagement ring meant that it was difficult to find a standard wedding ring that would sit neatly against it. So, using the customer’s engagement ring as a guide, our bespoke jewellers handmade a pewter model of a wedding ring that would fit like a jigsaw piece. The pewter model was then sent to the caster and the ring was cast in 18ct white gold. 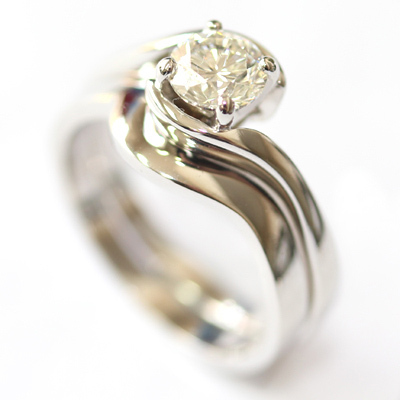 On it’s return to us, their bespoke fitted ring was then hand finished and polished in our Chapel Allerton workshop. A perfect fit wedding ring.